Both my adult sons ages 25 and 39 skydived and had an exceptionally awesome time. We went on this trip so I could make some memories with my boys and we definitely did that. The first sky diving for them and I was there to watch. Everyone was very good in explaining everything and they had an awesome experience. I still see my son showing the video to people 3 months later. Absolutely fabulous! We jumped from 15,000 feet. Ruben, my tandem instructor, was calm, professional and wonderful. I highly recommend getting the go pro photos - however pricey. best scenery ever in my life. Super experience, Even it's been two years now, I still feel that's my best experience from all my trips. The jump was awesome and memorable! 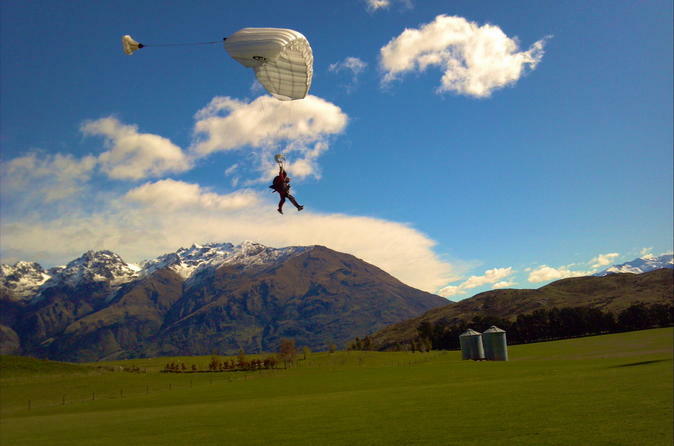 My 11 year old son and I did the jump from 15,000 ft and no regrets! Only advice is the pressure on the ears is something to look out for. 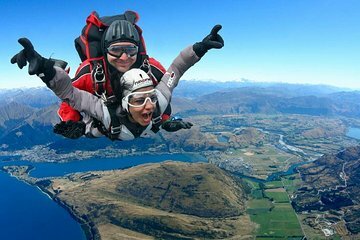 This is THE place to do a skydive! Very professional crew. The briefing was made to be fun! The skydive was totally Awesome! The views on the way down is spectacular! Thank you Nzone! N Zone does it the best. My husband wears glasses so for those who are wearing glasses, one recommendation, test the glasses you get to wear over your existing glasses and adjust them while on ground before taking flight. My husband found his very tight and was uncomfortable. Or just wear lenses! The best ever trip. Our family of 4 enjoyed skydiving and would go back again. The instructors were just amazing and very calm. One of the best experiences I've ever had. Can't recommend it highly! Amazing time! Overall experience from start to finish was absolutely wonderful! Definitely recommend!